1. 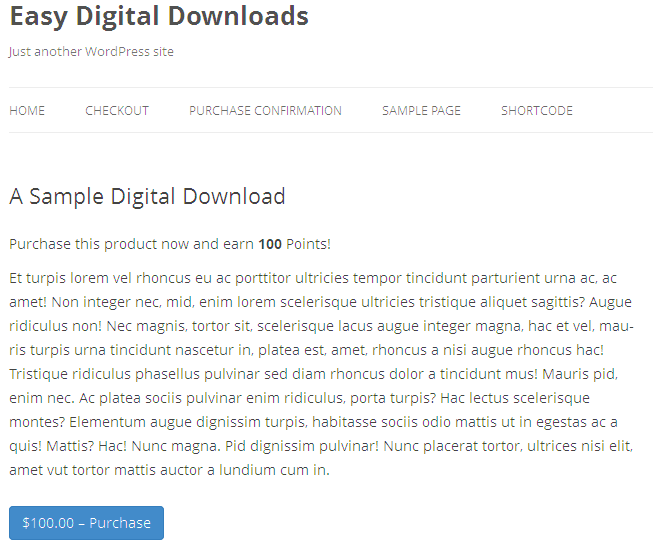 Does Points & Rewards support the reviews for Easy Digital Downloads plugin? 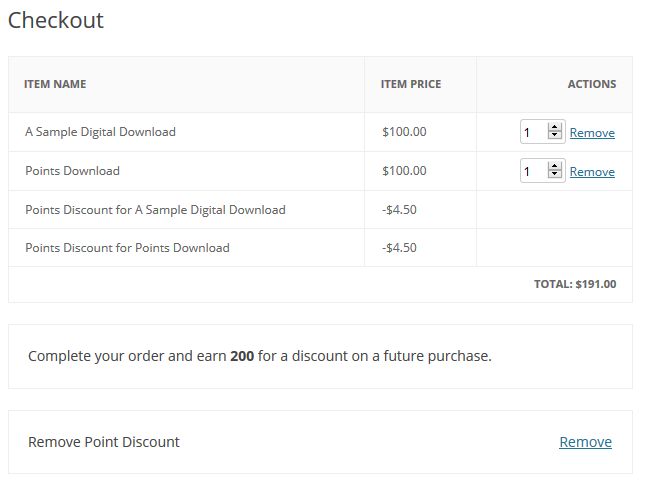 Yes, Points & Rewards and Reviews Plugin are fully integrated. You can use global as well as per product setting and define, How many points to be given to a user on how much ratings. i.e. A user who gave 5 Star rating will be awarded with 50 Point & A user who gave 3 Star will get 30 Points. 2. Does Points & Rewards support the recurring payments? Yes, Points & Rewards and recurring payments are fully integrated. If Easy Digital Downloads – Recurring Payments plugin is enabled, you will be able to see points settings for recurring payment. 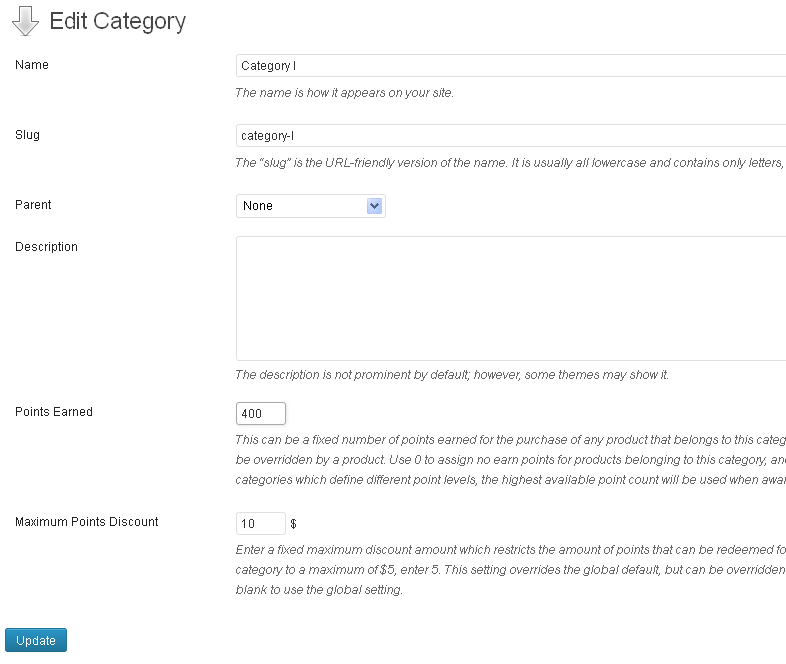 Once you enable this setting, your users will earn points every time when recurring payment is made. 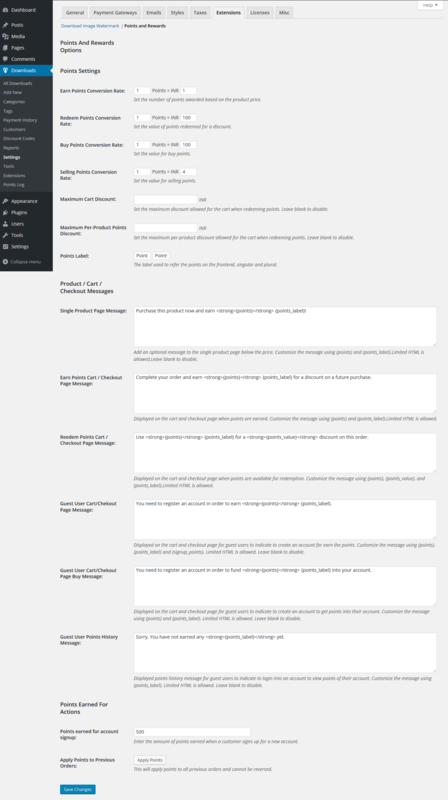 * [+] New: Added more actions and filters. * [*] Fix: Rounded 'Points Earned' values while storing in database. * [*] Fix: Restricted users to get a points while purchasing their own products. 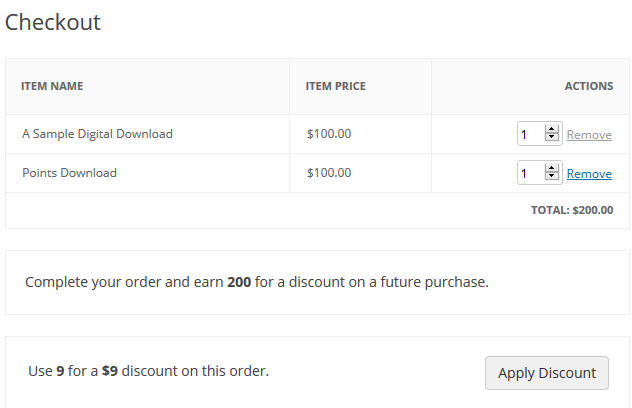 * [*] Fix: Fixed an issue with seller points deduction logic in a case of refund. * [*] Fix: Improved logic to check variable type before points get updated.